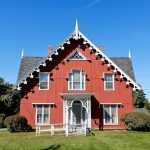 In a monthly column, Christopher W. Closs, an expert with Maine Preservation, answers your questions about maintaining antique and vintage homes. 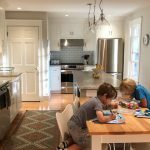 Q: What are some practical ways to make my 1911 home more energy efficient? As the temperature drops and the threat of higher energy prices looms large, this is an important question. 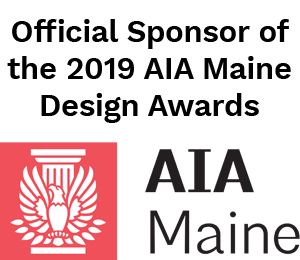 Here are 10 practical steps that Maine Preservation recommends you take immediately to increase the efficiency of your old house. 2. Schedule an energy audit. This service should include a “blower door test” to determine your home’s airtightness. (Visit Efficiency Maine to find a local contractor.) The test places a powerful fan in an exterior door frame, creating negative pressure that instantly reveals unsealed openings where cold air can enter your home. We also recommend ordering a “thermographic inspection,” which utilizes an infrared video or still camera to record temperature variations in your home’s skin, pinpointing gaps that need to be sealed or insulated and identifying areas where insulation may have been installed incorrectly. 3. Mind the gaps. Caulk, plug, or repair any openings in the building envelope, paying particular attention to air gaps often found where the top of the wall and the attic floor intersect. Other spots that merit close inspection are window and door casings, corner trim, the gap between the sill of your home and the top of the foundation, and places where utilities — such as your oil tank filler spout and electrical or gas lines — enter the house. Where exterior caulking is required, we recommend a paintable 50-year “elastomeric” latex sealant, which will stay flexible through a range of temperatures and won’t develop cracks. For interiors, choose any 35- or 50-year paintable caulk, but avoid using those containing mildewcides in areas where food is prepared or people will have contact. 4. Winterize your windows. Installing storm windows and doors virtually eliminates air infiltration through these openings. (You’ll also notice that your home is much quieter.) Follow our guide to shoring up your windows and selecting storm panels here or make your own storms by wrapping clear plastic heat-shrunk film, such as polyolefin, around both sides of a pine frame. Add peel-and-stick foam weatherstripping around the frame and fit the panel into your interior window casing. We’ve installed these DIY storms at our headquarters in Yarmouth and they’ve made a significant dent in our energy bills. 5. Button up the attic. Make certain there is insulation above or below your attic floor to limit heat rising from the rooms beneath. If you have older pink fiberglass insulation or vermiculite — a pebble-like, pour-in product — consider replacing it. The fiberglass insulation found in many houses can pose respiratory health concerns from airborne fibers and 90 percent of vermiculite contains asbestos. You can safely replace fiberglass with mineral wool, a newer type of insulation with a higher R-value (a measure of the insulation’s ability to resist heat travelling through it) that repels water, resists rot, mildew, mold, and bacterial growth, and will not burn. Removal of vermiculite should be handled by a professional remediation firm according to EPA standards. If there is no insulation in your attic, consider dense-pack cellulose insulation, which can be blown into place and delivers excellent results. 6. And the basement. I frequently encourage homeowners to insulate interior basement walls to at least one foot below grade. You can use a variety of products, such as rigid foam panels or rubber drainage mats that are draped from the walls like sheets on a clothesline; the u-shaped spaces above the mats are then filled with cellulose or mineral wool. Note: We do not recommend open- or closed-cell spray-foam insulation for use on basement foundation walls, or anywhere else in the home, because it is irreversible. The material also off-gasses and can compromise your health. What’s more, most spray-on materials are highly flammable and need to be covered with Sheetrock for safety. 7. Insulate outlets. Electrical outlets are notorious inlets for cold air. (You can often feel it streaming into your home around these penetrations.) To remedy this pricey heat loss, remove the outlet cover and use silicon caulk to fill spaces between the receptacle and the surrounding plaster or Sheetrock. Next, affix a pre-cut foam gasket — available at hardware stores — to the back side of the cover before screwing it back into place. 8. Wrap your ducts. If your heating system’s ductwork is poorly sealed or uninsulated, you may be adding hundreds of dollars to your energy bill every year. Start by sealing seams and joints in the conduit with glue-like duct mastic, which the U.S. Department of Energy recommends over duct tape because it is more durable and easier to apply. Then insulate the ductwork with a foil-faced insulation blanket that has an R-value of R-6 or higher, taping every seam and joint in the blanket with foil insulation tape to prevent moist air from penetrating and condensing on the ductwork. 9. And your pipes. Insulating hot-water pipes with sleeves made of polyethylene or neoprene foam and placing an insulation blanket over your water heater will reduce heat loss and heating bills, and cut down on the time it takes for hot water to arrive when you turn on your faucet or shower. If you have a gas water heater, make certain to keep any insulating material at least six inches away from the flue. 10: Upgrade your thermostat. New programmable thermostats help you conserve energy by allowing you to set the temperature to tick down when you’re asleep or away from home. The Department of Energy estimates that turning down your thermostat by about 10 degrees for eight hours a day can save 10 percent on heating bills. We recommend setting your thermostat no higher than 68 degrees when you’re awake and at home, and lower when you’re asleep or out of the house. 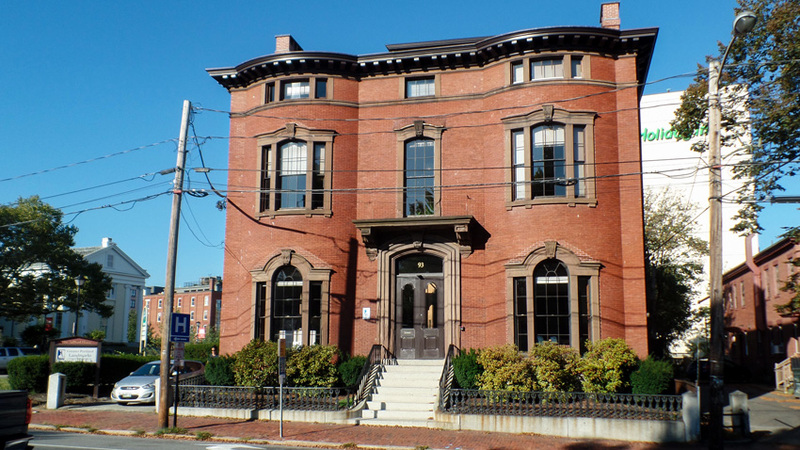 Cover image: The 1858 Safford House on High Street in Portland is now the headquarters of Greater Portland Landmarks, which fully insulated the building’s roof with dense-pack cellulose, installed a new energy efficient gas-fired heating system, partially repointed the mortar, and restored and weatherstripped the original windows on the first floor. Christopher W. Closs is field service advisor for Maine Preservation, the only nonprofit historic preservation group working to preserve and protect treasured places across the state of Maine. Closs holds a Master’s Degree in Historic Preservation from the University of Vermont and is skilled in restoration carpentry and stone masonry. 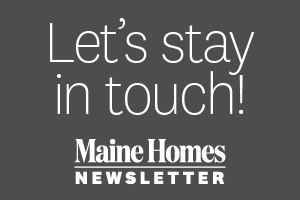 You can email additional questions to [email protected] and find more helpful information at mainepreservation.org.